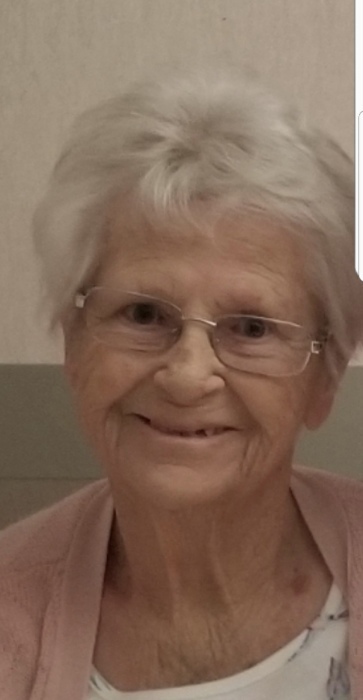 Juanita “Toby”Moore went home to her loving husband and son November 17, 2018. Toby was born May 18, 1934 in Salt Lake City to Henry and Wilda Marie Burton. Later she was able to have a loving step father Paul Gibbs. Toby married Vern F. Moore November 24, 1951. The rest of their life they were inseparable. They were blessed with two sons. Vern died October 22, 2017. Her son Paul died November 12, 2016. Toby loved people and loved her family. She enjoyed making things with her hands and gardening. She spent much of her life adoring and being with her sons and five grandchildren. She is survived by her son Danny Moore (Peggy) of Vernal. Five grandchildren, 15 grandchildren, and, 5 great grandchildren. Her sister Barbara McConkie, Vernal and Don Gibbs, St. George Utah. She spent the past year at the home of her son Danny and then at the Uintah County Care Center. She was loved by all who knew her and will be missed. Her son wishes to honor her request so there will be no funeral arrangements. Entrusted under the direction of Blackburn and Sons Vernal Mortuary and Cremation Care.